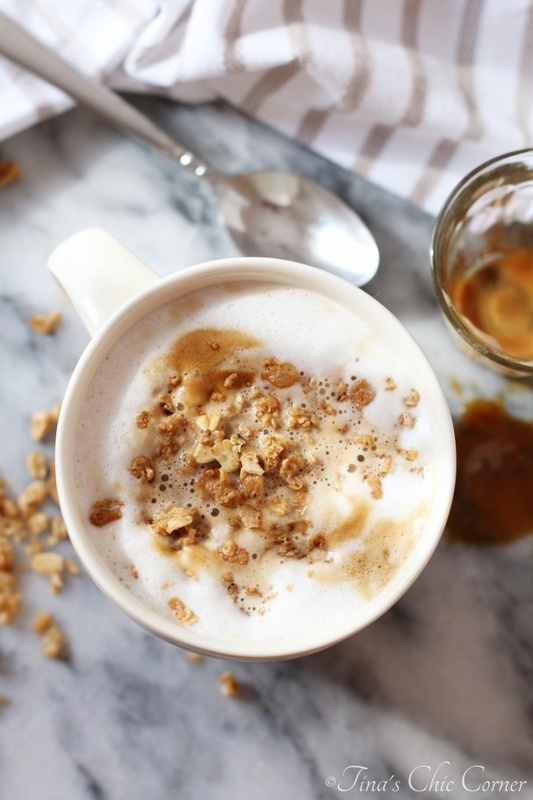 I’ve got the perfect breakfast to start your Fall morning. Before I get to the breakfast, let’s talk about the elephant in the room. I took a little break from blogging. My husband and I vacationed in Colorado for 10 glorious days and we had an amazing time. I’m still working on the blog post to share all the deets with you guys and hopefully I’ll have that ready soon. When we got back from vacation I had every intention of jumping right back into blogging but I just wasn’t feeling it. This is the first time in four years that I’ve taken this kind of time off so I’m thinking that’s a pretty good track record. 😉 A part of me feels guilty for not blogging. Will you forget me? Will you miss me? Another part of me realizes that the blog police won’t arrest me for the lack of posts. Meaning that there is nothing wrong with taking a break after a solid run of over 500 posts. This break is not a matter of being lazy, but instead a matter of recharging myself. I’m feeling inspired, rested, and ready to get back to blogging, starting with this delicious breakfast. How would you like a warm breakfast and daily dose of coffee combined into one mug (bowl?). 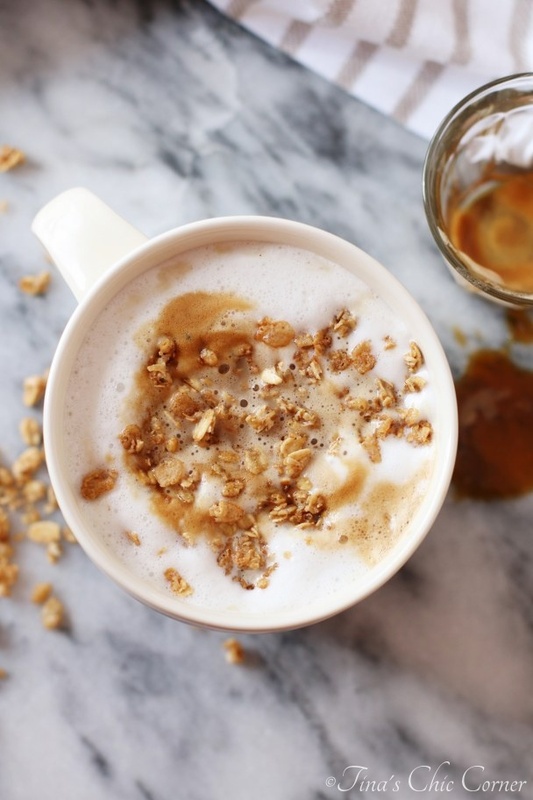 The answer is an oatmeal latte and the idea is brilliant. I was so excited when I found this recipe over the summer, but oatmeal and summer don’t really go hand in hand unless you’re my husband. Then oatmeal and whenever you want go hand in hand. Maybe we can’t go by him. 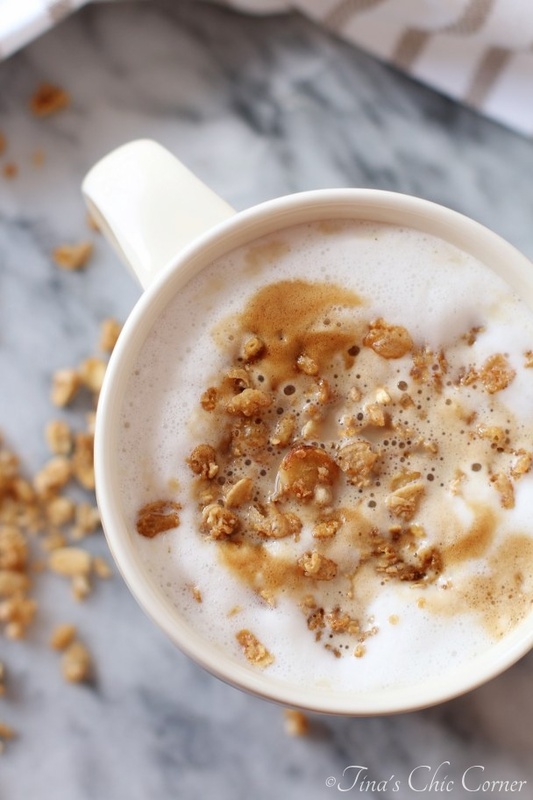 Now is the perfect time to enjoy this cup of heaven. You get two for the price of one. A filling and zingy breakfast. Speaking of that zing, be careful pouring the espresso into the cup of oatmeal and don’t spill it like I did. Every drop is precious! Sip it, spoon it, shove your face in it (just kidding), there’s no wrong way to enjoy this breakfast. In a saucepan over medium/high heat, add 1 and 1/2 cups of milk and the salt and bring it to a boil. Reduce the heat to medium, cook for about 5 minutes stirring occasionally. While the oatmeal is cooking, froth the remaining 1 cup of milk. I warmed up the milk in the microwave until I got the temperature that I desired. Then I used an immersion blender to create the milk froth. I poured the warm milk into the measuring cup that came with my immersion blender. If yours didn’t come with a container then use any tall container or work in the saucepan. If you don’t have an immersion blender then use a whisk and whisk it vigorously. Once the oatmeal is done cooking, add 3/4 cup of the frothed milk, brown sugar, and vanilla extract to the oatmeal mixture and cook until the oats are creamy. Remove the oatmeal from the heat and divide it into two mugs. This sounds delicious, will definitely give it a try. How do you like your Nespresso maker? Thinking about getting one. Do you have the Inissia? Love our Nespresso! I’ve had it for 2 years & I still enjoy using it all the time. I definitely recommend. It is the Inissia… it’s nothing fancy but for me & my husband it’s perfect.